Review "The Self Publisher's Ultimate Resource Guide"
Joel Friedlander has been active in the self publishing community for quite some time now. I would say his blog thebookdesigner.com one of my Top3 ressources for this topic (besides Mattias Matting's selfpublisherbibel.de and Joanna Penn' thecreativepenn.com). While Mattias is covering the industry as a whole and Joanna is specializing in the writing process itself, Joels speciality has been Cover design. That having said, here is his newest book. And since the good ol' days of "The Ultimate Warrior" (90's kids will know), I do love anything which include the word "ultimate". But is the content worth this claim? Joel and his co-author Betty Kelly Sargent tried to do something extraordinary: collect and publish a current list of all resources, which might be helpful for self publishers. And we are talking actual people with real contact data here. From editors and proofreaders to Markeeters and Awards. You will not only get the name, but the adress, contact data and a short description of the service. Dozens of each category. Quite a feat. I would have loved to read some additional information on the resources, like pricing and best practice cases to make it easier for amateurs to find partners. But here is the one BIG flaw: the ressources are all - of course - based in North America. As useful as this list would be for everyone, it's just not helpful if you are writing and publishing in an non-english speaking market. So if there is anybody out there who would do the same for the local market: please go ahead! "Ultimate" is a promise which can't be fullfilled. It's a very helpful handbook for my english-speaking colleagues. But all others and especially beginners will be dissapointed because of the lack of additonal information and personal comments. But make sure to read Joel's excellent blog! 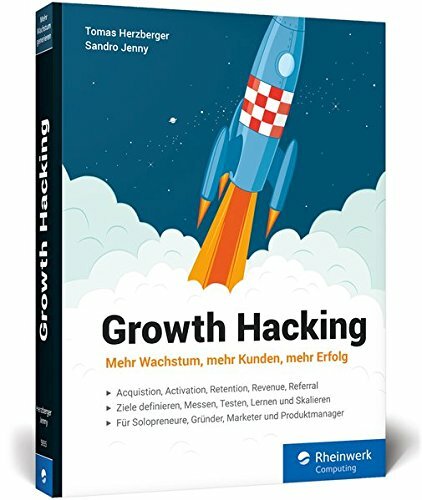 Growth Hacking & Digital Marketing Experte. Autor, Speaker & Dad. Made with love in Frankfurt. Mehr Infos hier. Du kannst dich jederzeit und kostenlos wieder abmelden. Deine Email-Adresse nutze ich nur, um dir den Newsletter mit den Tools Mailchimp oder Revue zu schicken. Weitere Infos in der Datenschutzerklärung.